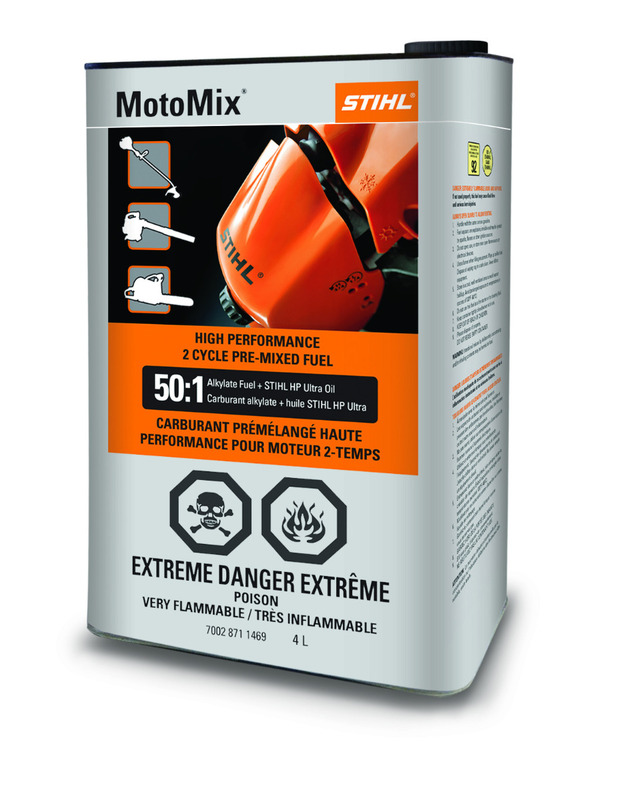 STIHL MotoMix Pre-Mixed Fuel eliminates the hassle of mixing your own oil and fuel. It's high quality alkylate-based 92 octane fuel without ethanol or other harmful additives, mixed with fully synthetic and biodegradable STIHL HP Ultra oil. 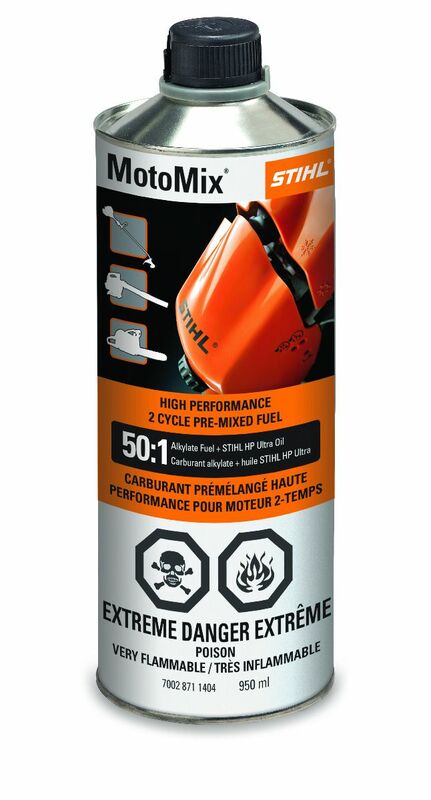 Right mix every time - It's the perfect 50:1 mixture of 92 high-octane fuel and the protection of STIHL HP Ultra two-cycle engine oil. No Spills. No Measuring. No Guessing. Pre-blended and ready to pour. 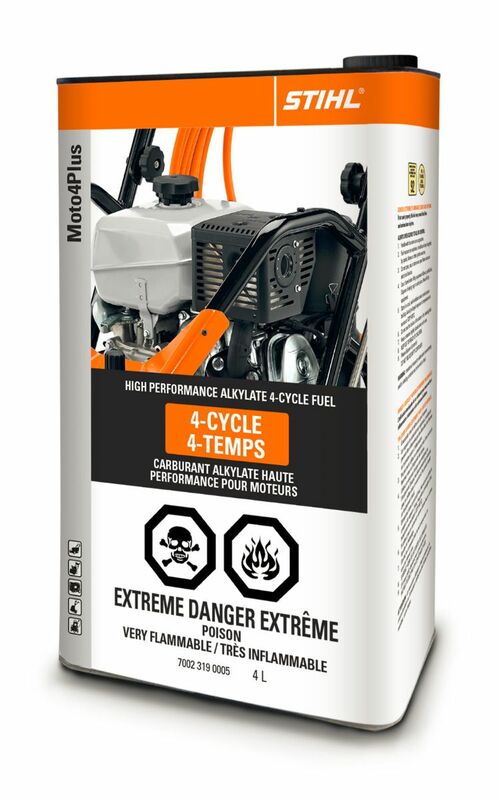 STIHL MotoMix® Premixed Fuel – a convenient solution for those that may not use their STIHL equipment on a daily basis, but still want a reliable fuel. 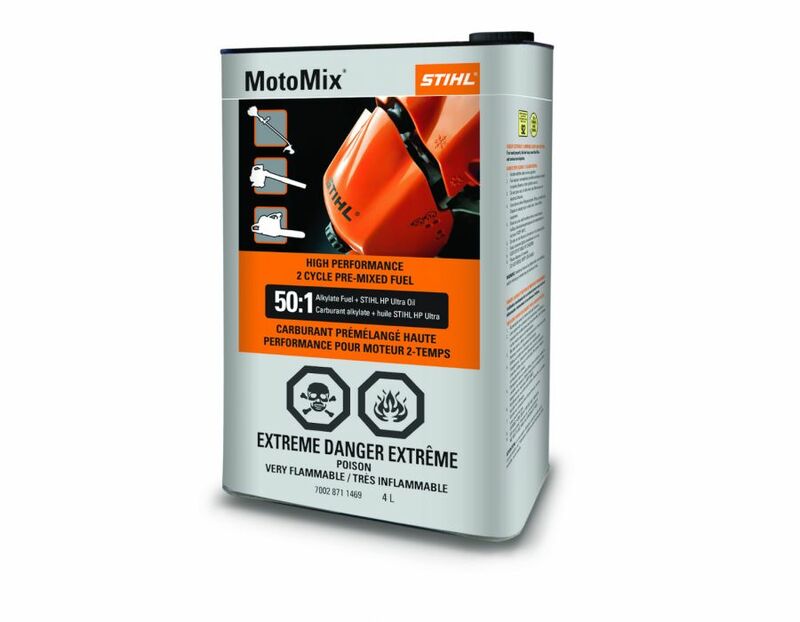 * STIHL MotoMix requires to be stored in a cool, well ventilated area to avoid vapour build up. Avoid prolonged exposure to temperatures in excess of 120˚F /48˚C. Find the STIHL 4L Container of MotoMix at Kooy Brothers Equipment Ltd. located at 1919 Wilson Avenue in Toronto, Ontario.